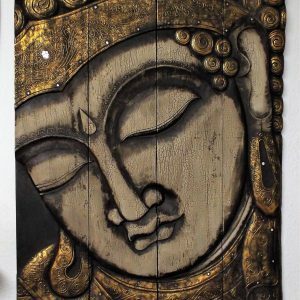 Our beautiful Buddha carvings are hand carved for us by skilled members of a workers co-operative in Sukawati, Bali. 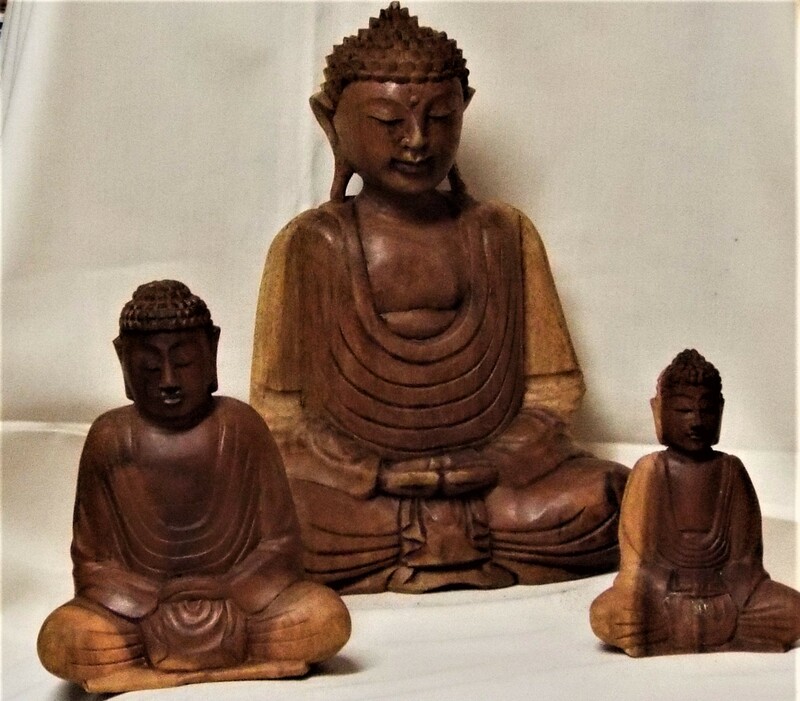 The Buddhas are carved from The Indian Rain Tree, known locally as “Suar” wood, which is not indigenous to the region, but was originally introduced by the Dutch, and is plantation grown. 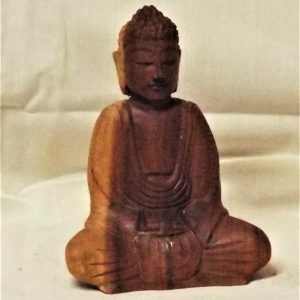 “Suar” wood has been extensively used for larger carvings, and some furniture production, due to it’s strength and crossed grain. A stunningly beautiful focal point to any room. 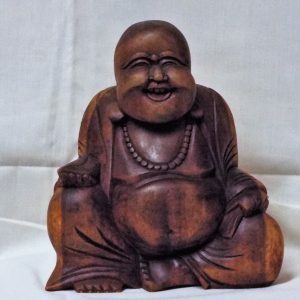 Buddha sits serenely in the Samadhi Mudra position, lost in contemplative meditation.